This Sunday, May 14, I organize a hike from St-jean-d'Aulps, 60 km from Geneva. 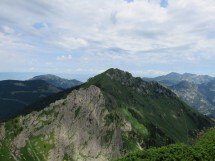 A gradient of 1000 m (+ 160m for the summit) and a distance of 14 km. Walking time: about 5 hours.